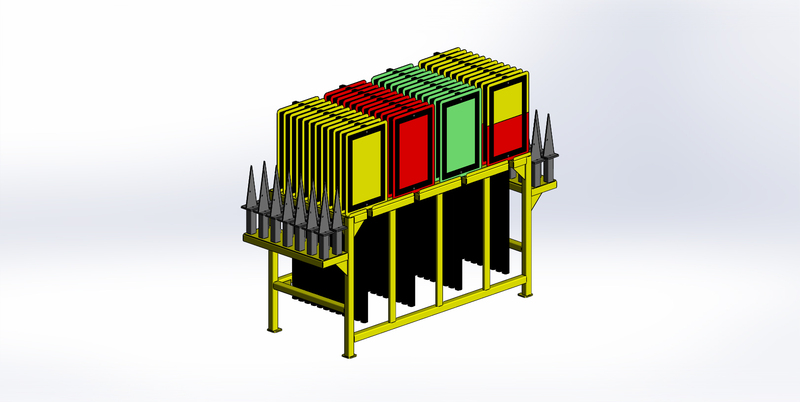 This rack is used for storing metal engineering flags and ground stakes. 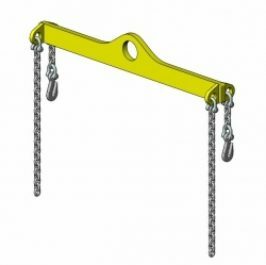 Use this fixture with an crane or forklift equipped with an approved hook type lifting device to remove or install any size or style of freight car truck side frame. 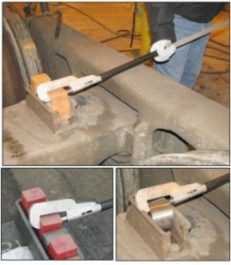 Lifting hooks on crane hoists are not wide or long enough to get a good grip on side frame castings. 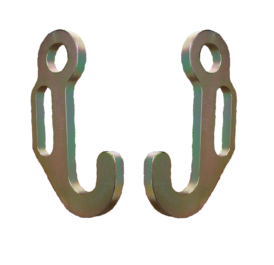 Our lifting hook has a wide and long throat,with a built-in handle to keep hand out of harms way. Two per Set. 2000Lbs.Load Rating Each. 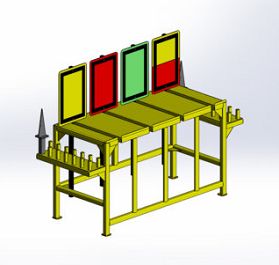 Designed to safely lift and install Side Bearing Rollers while standing at a safe distance from suspended equipment. It is especially useful at derailments or on line-of-road. The adjusting mechanism is equipped with a thrust bearing to apply a maximum amount of gripping pressure with a minimum amount of turning effort. The tool may also be used to replace certain types of constant contact side bearing blocks.